You can change colors of your infographics by going to the Design tab and clicking on any of the color palettes. Our designers test all the color palettes for readability and harmony. 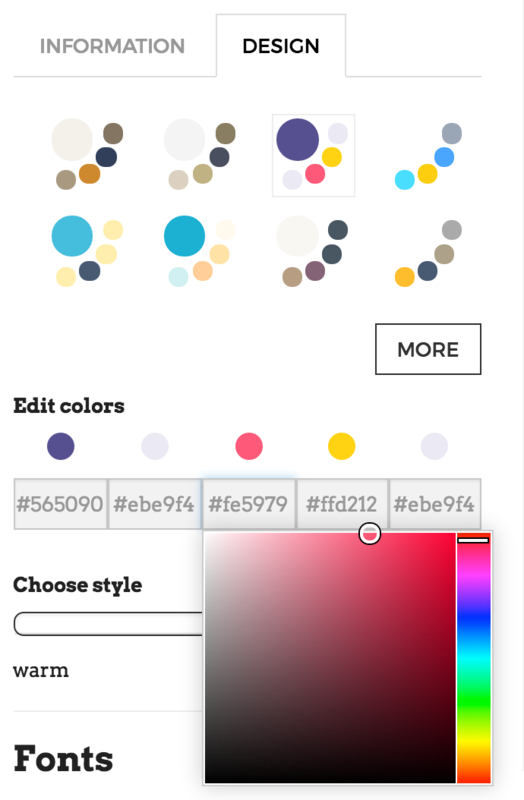 You can change any of the colors in the color palette by clicking on the colored circles in the Edit colors section. Each colors applies to a specific part of the infographic.